Mags, Units, Weapons are not available. 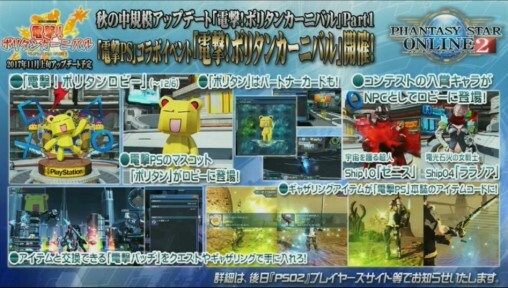 Edit: PSO2es falls under the PSO2 series umbrella. Character Creation Data is required. Figure will ship ONLY to Japan. ★13 NT Nemesis series drop. 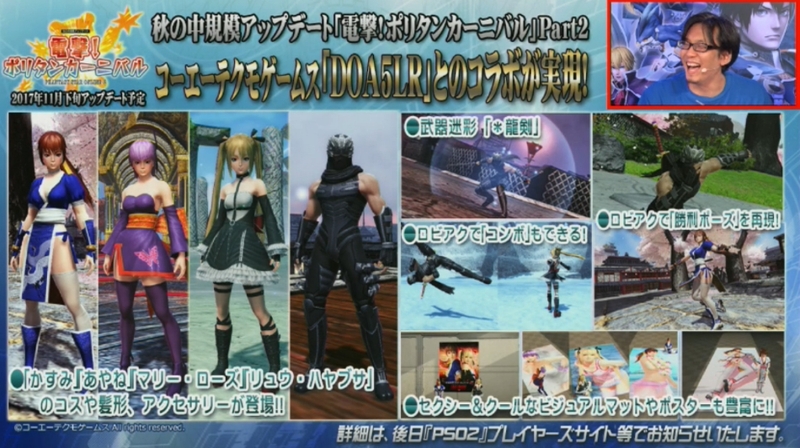 The quest will be converted into a Free-Field style quest with 2 areas. You can defeat the boss in the 2nd area. 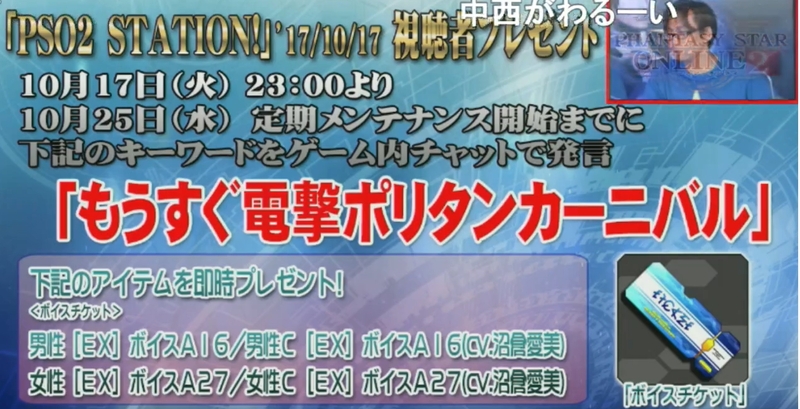 Nemesis NT will have an increased drop rate during the event. 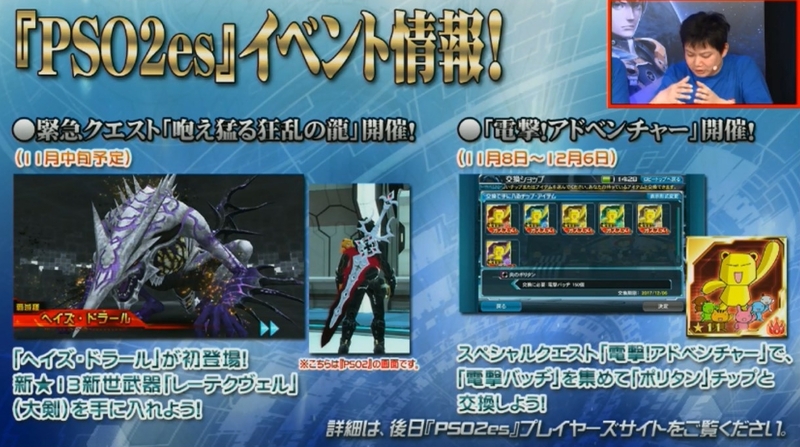 “Super Special Abilities” will be coming for future weapons. Battle Arena will have another weapon rotation. 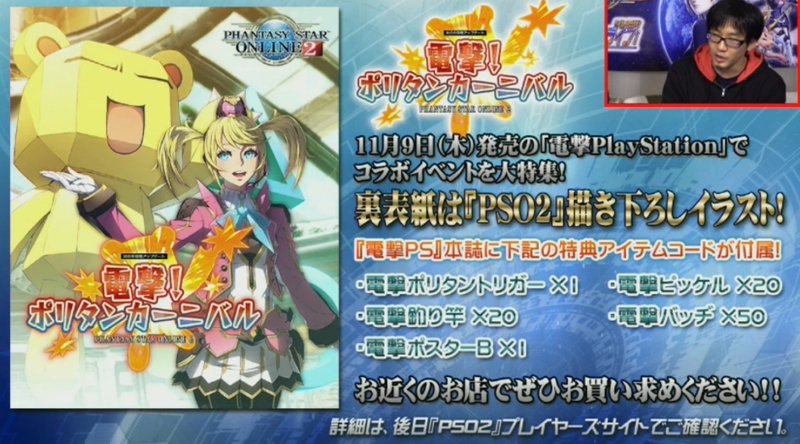 In the previous stream they stated “Our Fighting” Christmas version was going to be the next LIVE concert. However, that was a mistake on their part. Instead, the song is going to be Eternal Encore (Christmas Ver). 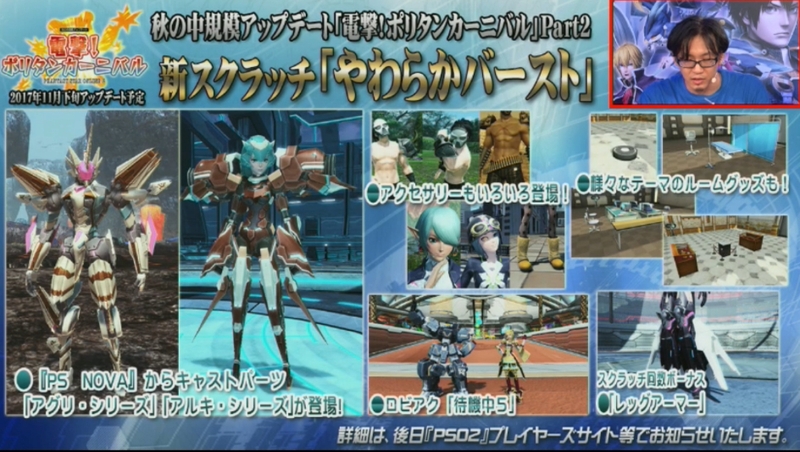 Io’s Episode 4 hairstyle will be coming around the end of the year / new years timeframe. 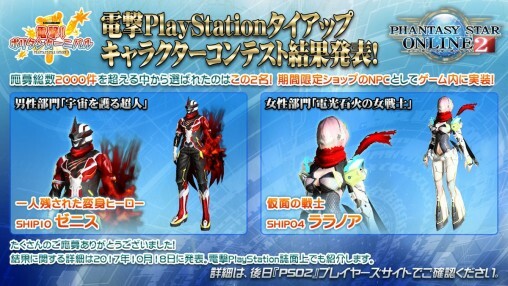 They hinted at other forms or appearances of Dark Blast. They suggested paying attention to the story. 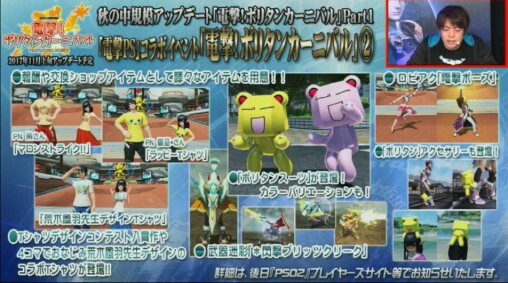 We might be getting a Mini Lilipa Suit in the future. They don’t have plans of implementing a Monica Sandbag. There are plans for Evleda Unit Upgrades but it may take some time. 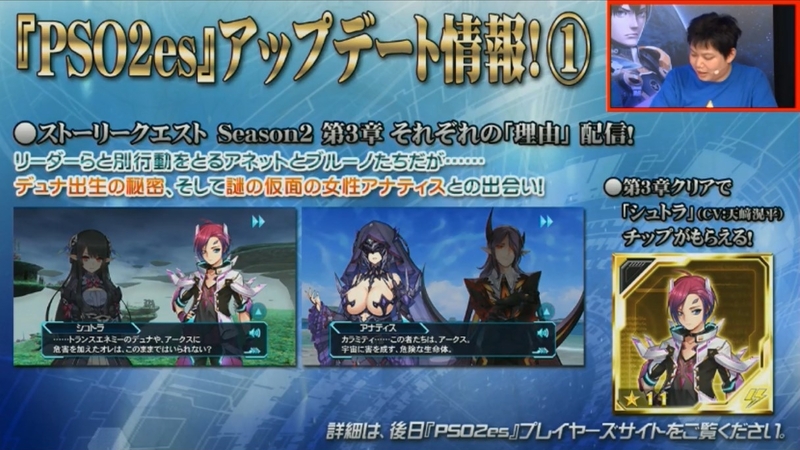 They have plans to introduce seasonal NPCs (like Halloween Matoi) in the future. Adjustments will be split in two: Early December & Late December. A First Blood style skill that treats charged technics as Just Attacks. 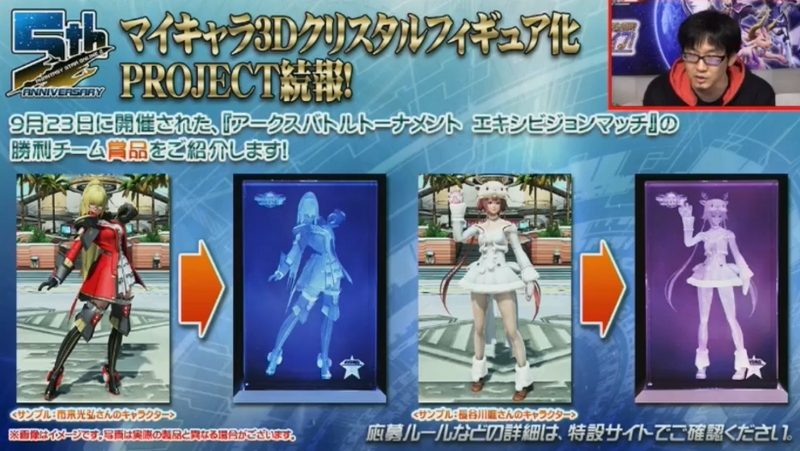 Becomes similar to Hero Boost. Shoot Photon Blades even at 0 Gear. 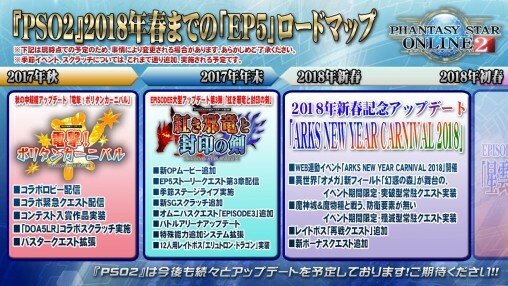 Pets will receive an HP buff. Increased the speed in which pets move towards the enemy. 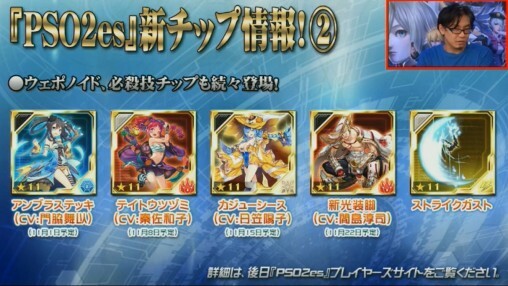 Defense Candy will receive a buff. The attack range for certain pets will be buffed. They’re relaxing an aspect of Pet raising. Expanded normal attack range for Gunslash, Wand, Katana, and Dual Blades. We’ll use this as a way to stress test the server. Please expect some delays. Say the phrase もうすぐ電撃ポリタンカーニバル in chat to receive several voice tickets from Manami Numakura! 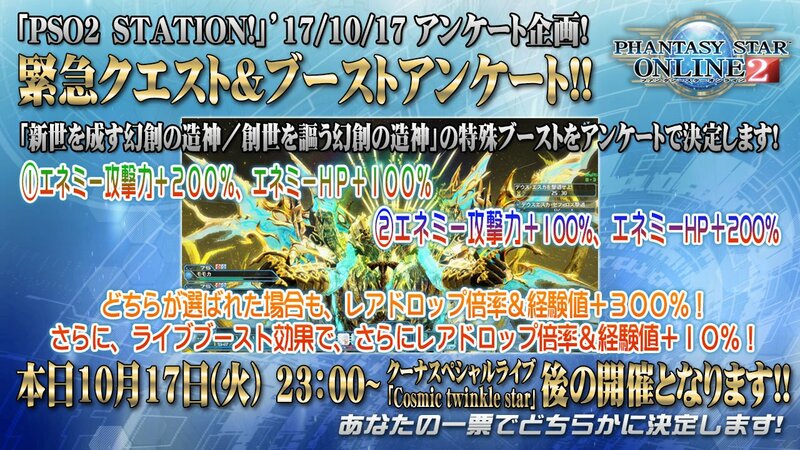 You have until 10/25th maintenance to complete this task. 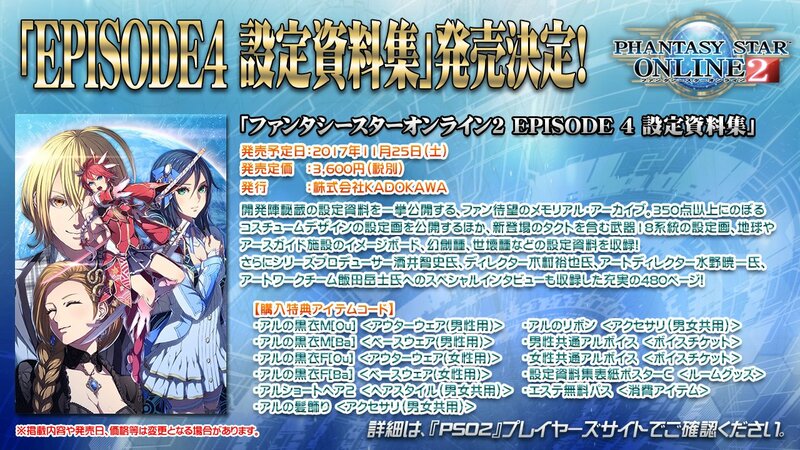 ★14 Weapons and Camos such as [＊Coat Edge], etc, will drop. 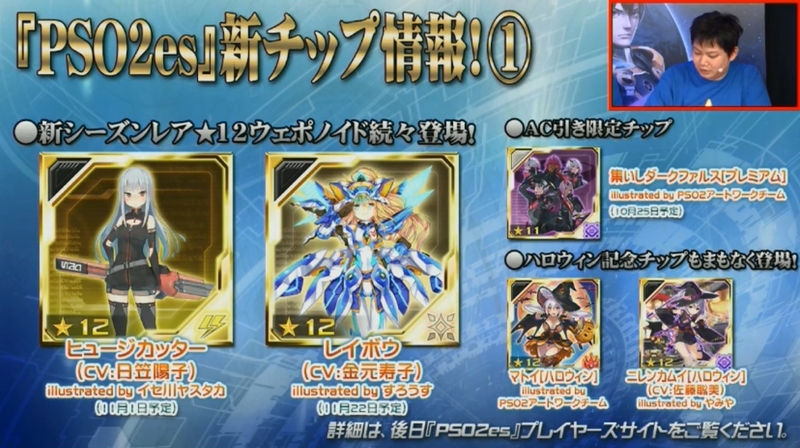 ★13 Gix Series Drop Rate UP! Added Craft Items [Custom Type 1 +60%] etc. 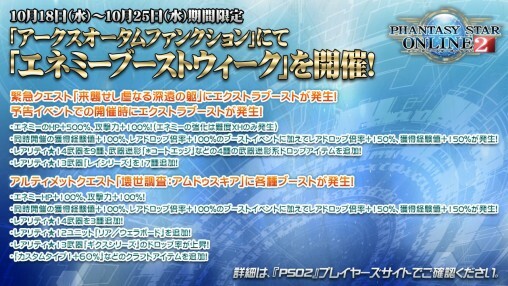 Dengeki PlayStation Mascot [Polytan] will appear in the lobby. Acquire [Dengeki Badges] from the quest or through gathering. 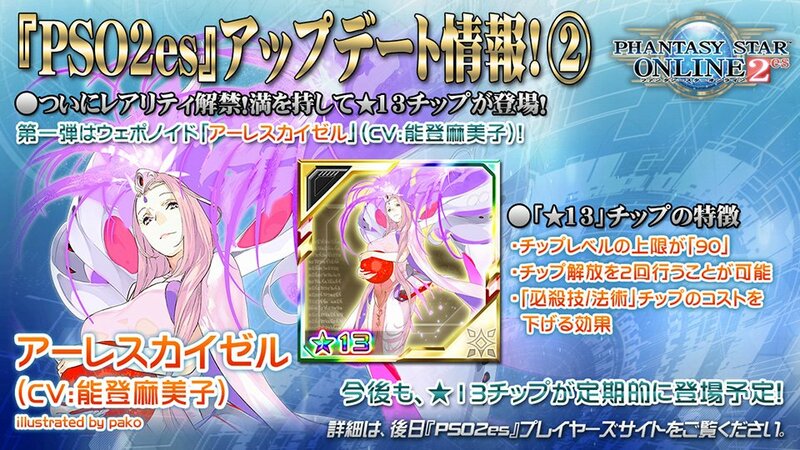 Various Collab items are available as rewards or from the Exch. Shop. Increases the amount of PP recovered when basic attacks hit a weak area. 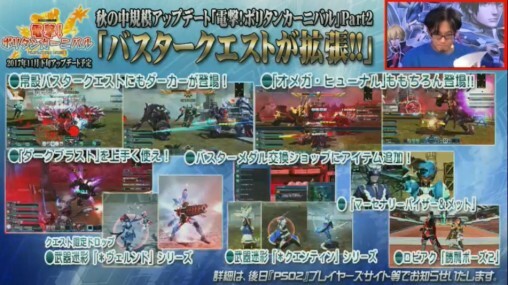 Reduces damage from enemies based on the number of people (2+) in the party. 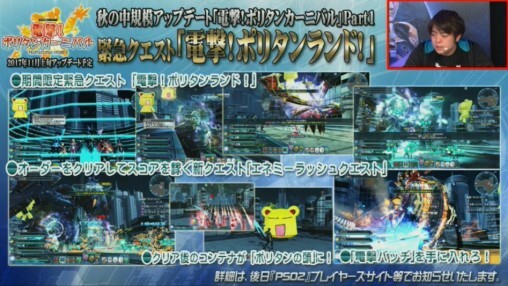 An enemy rush quest where you clear Orders and increase the score. Have less than a certain amount of incapacitations! Destroy a certain number of enemy parts! Clearing these orders boosts the score rate by a certain percentage. Polytan’s head will serve as the container for clearing the quest. Kasumi, Ayane, Marie Rose, and Ryu Hayabusa’s costumes, hairstyles, and accessories will appear in PSO2. Omega Hunar can also appear. 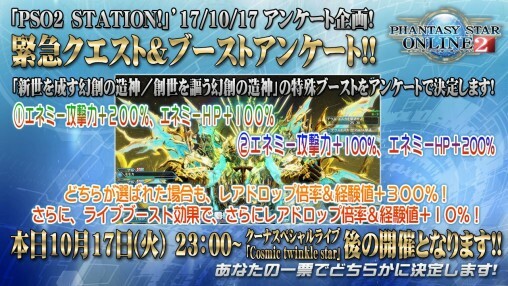 Omega New Field: The Enchanted Forest? Clear Chapter 3 for the Sutra/Stra chip. You can equip chips with link skills into the Link Slot. Doing so will boost stats and increase the activation rate. 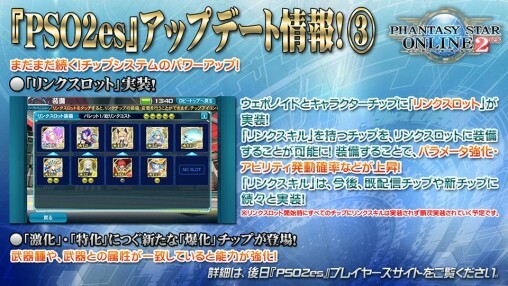 Only some chips will have link skills at the start. More chips will have it in the future. 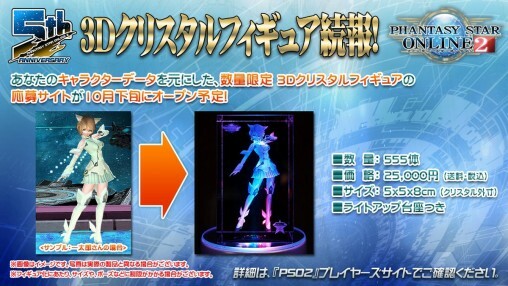 Collect Dengeki Badges and trade for the Polytan Chip. Climb the tower through a series of battles and loot the rewards. 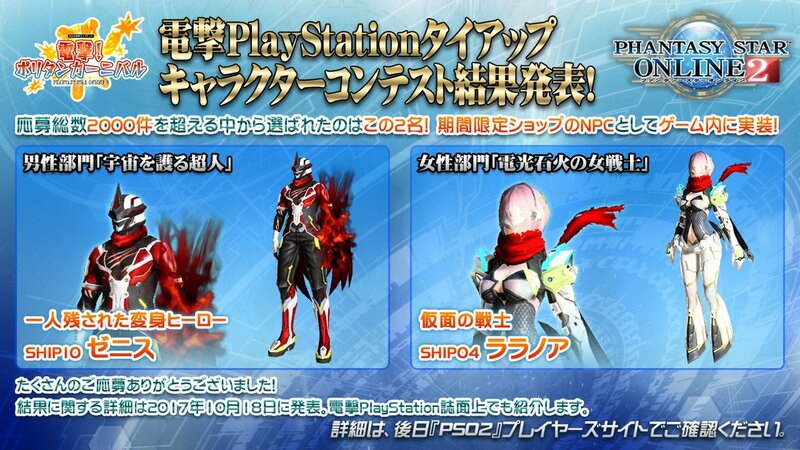 Really excited for those kamen rider and gaine costumes! 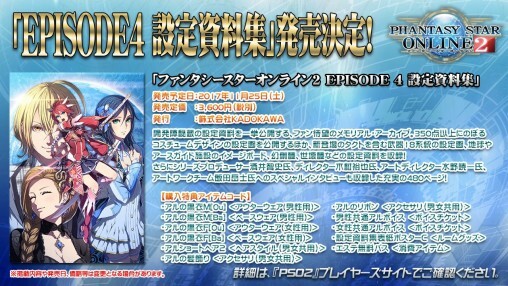 Probably a Limited Quest similar to the Ep1~4 LQs we had around mid 2017.
don’t get your hopes up. they said it was for an LQ only back when they first mentioned providing some non-BQ/EQ content a month or so ago. 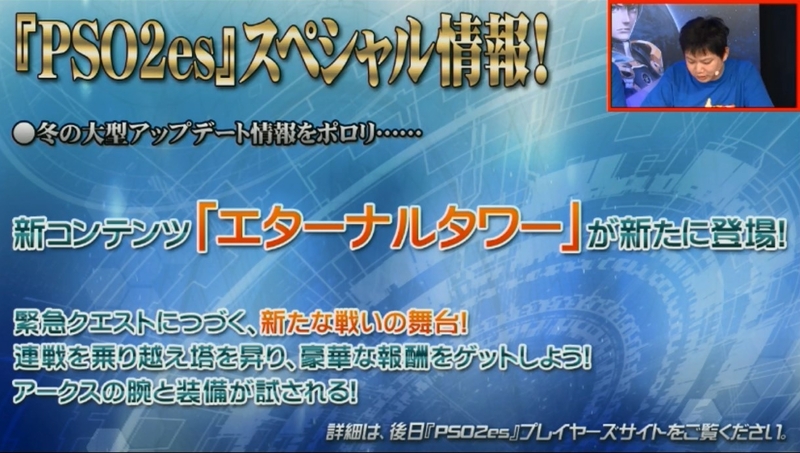 while they -have- gone back on things they’ve said (check out that ep1~4 LQ 12* unit being revived in UQ amduscia, despite their statements of intending to not revive it and just make an accessory out of it later. I’m sure someone somewhere is angry about becoming less of a snowflake for having it, yawn. 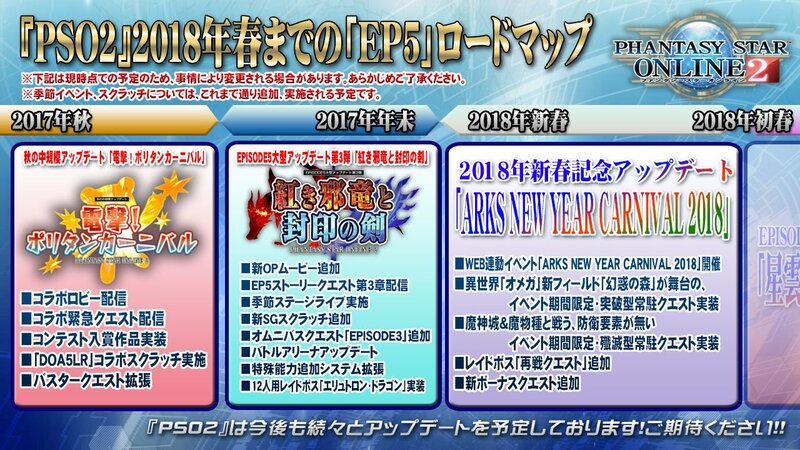 ), it’s rarely about things where they’re actually in the wrong(because that would mean losing face, and the jp corporate world does not accept losing face) like trying to make ep5 be “buster quest: the episode”(even the jp players are bored with it). that “party of toughness” ring darkly amuses me; 40% drop boost for a full party still doesn’t get people to group up, so they’re trying a more concrete gameplay influence. (and let’s face it – drop RNG is so inconsistent that as much as boosts help, the only time you seriously can feel the difference between certain thresholds is when you’re doing CFs. 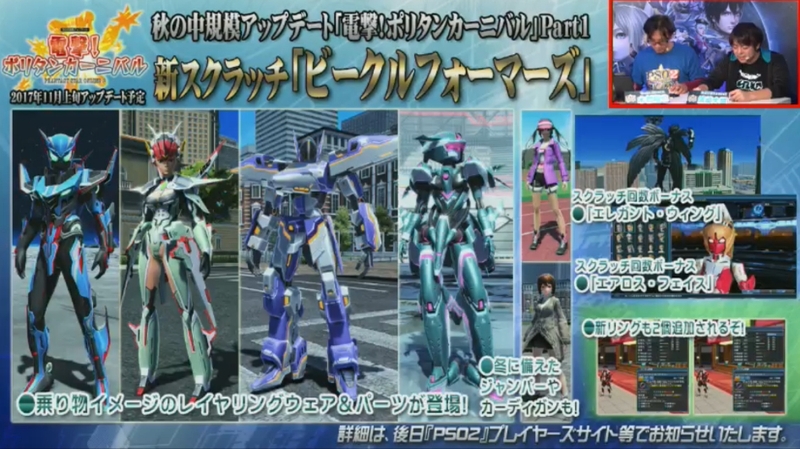 speaking of which, I wonder if polytan or the red dragon will have anything worthwhile in CFs. can’t have anything “too” good, with the slog people go through for qlip stuff with the unfun fight that is deus esca still being fairly new; just like how austere stayed top dawg for a fairly long time due to being a stupid slog to get.) anyway I’m not holding my breath on that ring making parties fill up any faster. either you have a group you’re playing with at the time or you’re “solo” even in raids, that appears to be the natural order. …also is it me or does that cast part set look like JRX from the transformers show takara did when they got tired of beastwars garbage? When people run around as Fi/Hu’s with 2k+ HP and all the defensive passives in the world, it probably seems like Kirby to them. Enemy HP + 100% right? not 150%?? They said it was a typo, so it’s 150% now. 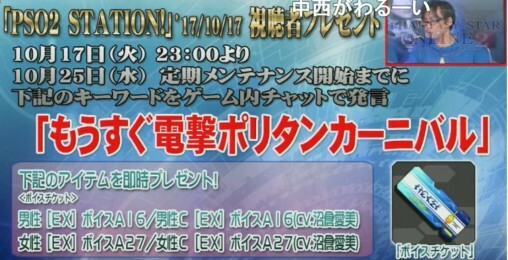 Only 555 entry? That’s too low! How do you receive the rewards for the secret phrase? Just say the phrase and you’ll get an exclamation point above the visiphone notifying you that you can get the rewards. 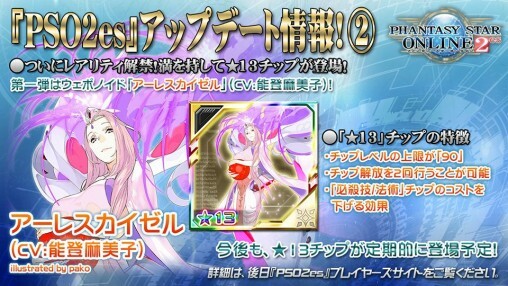 For the new es 13*, shouldn’t it be translated as “Kvelle”? You know, since it shares the exact same base design as the Nox Kvelle and Kvelle Arion? I’ll most likely make it Kvelle when it hits the english patch, but for now i’m toying with references i found. alot of the time when you play a regular kirby title (triple deluxe) the EX versions of bosses are realy hard and they have you go throught a gauntlet with next to no healing items to fight the secret boss. I guess those EX bosses are hard if you’re like… five. Given I have gotten through them myself I can actually testify they are not that hard. 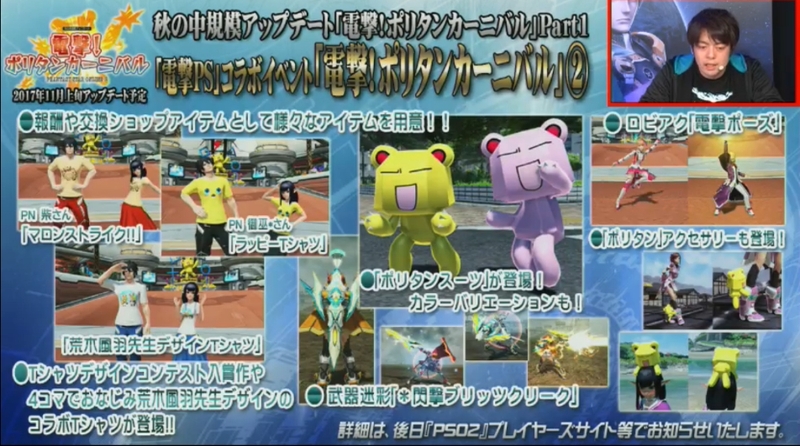 I just wish they would give JB Bouncers more photon arts to use. Yay! More Su pet buffs!! I can’t wait.